The “Adventure Village” – a cluster of 3m x 3m Bow tents built on raised platforms, each with a small deck in front – are strategically placed in the shady extensively lawned complex away from the chalets. 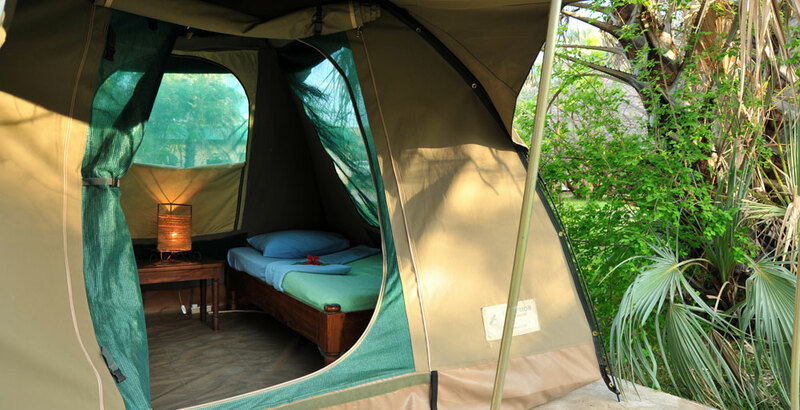 Each tent is equipped with 2 x single beds, electric light, fan and shared ablution blocks with the campsite. This village accommodates 48 guests in 24 tents. 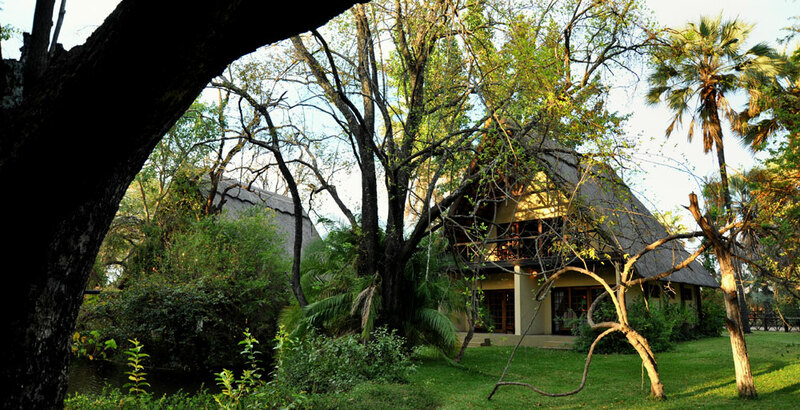 The Adventure Village has spotlessly clean ablution facilities, comprising hot and cold showers, basins and toilets (shared with the campsite). 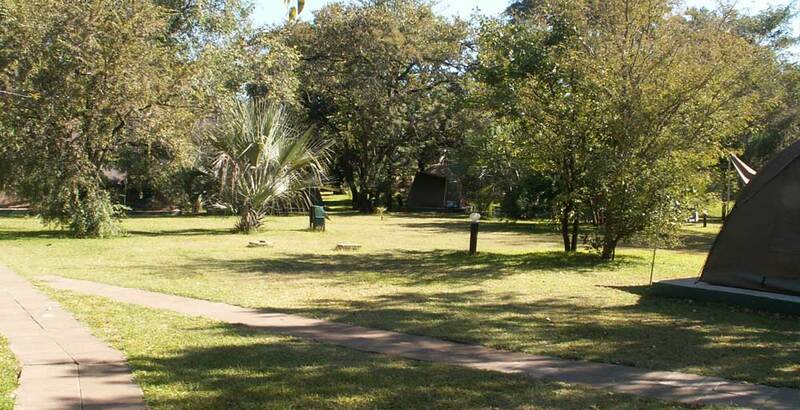 The campsite is set amongst large trees in shady surroundings. Catering for the overland or self-drive market, clients can choose from a variety of sites accommodating up to 100 guests. Please note that we do not provide camping equipment. The Campsite has spotlessly clean ablution facilities, comprising hot and cold showers, basins and toilets (shared with the Adventure Village). There are also barbeque facilities in the campsite.